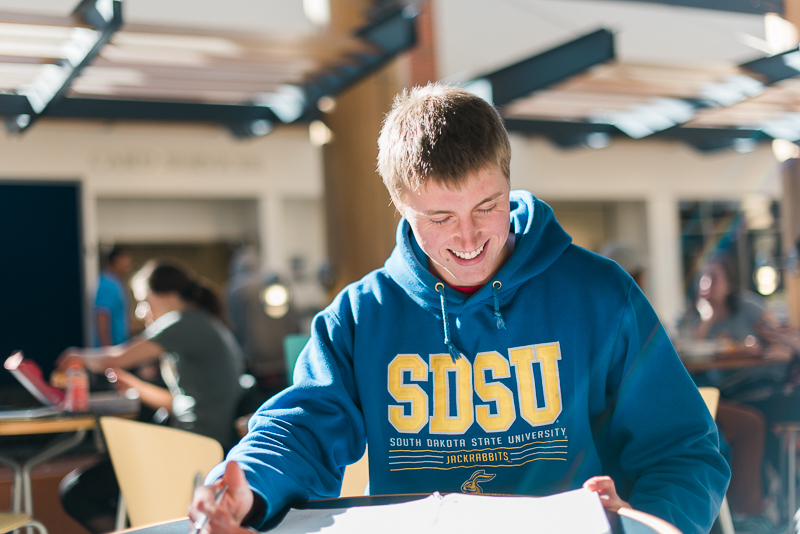 While a lot of college students may say taking care of the environment is important to their future, most aren’t as deeply committed to improving the land and water as South Dakota State University student, Cassius Pond. 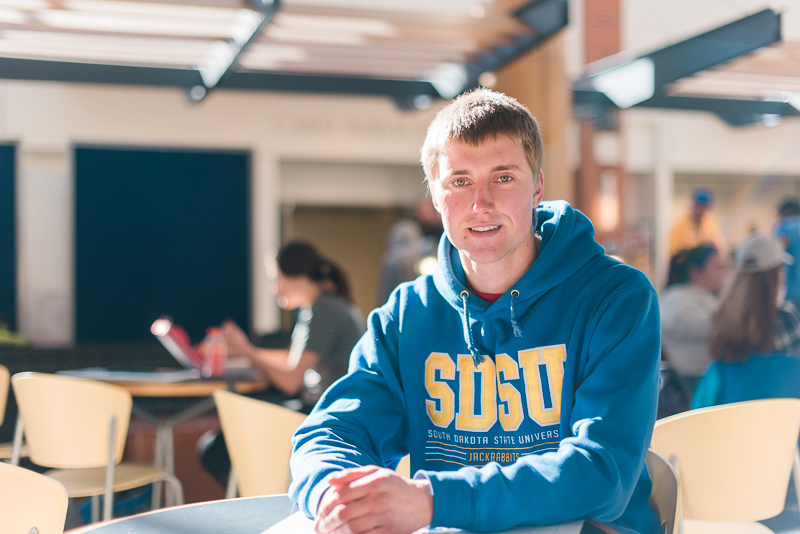 Cassius, who studies agronomy and precision agriculture in Brookings, spends much of his time in the field or classrooms exploring ways to make his parents’ soybean, corn and wheat farm more sustainable. After Cassius graduates, he’ll be the fifth generation to return to the Pond family farm near Ipswich. Though he’ll be caring for the same land his great-great-grandfather did, Cassius plans on doing things differently than previous generations. When he went to college, his dad urged him to take classes in precision agriculture to learn all he could about technology so he could bring that knowledge home. The Ponds recognize precision agriculture is here to stay. Almost 43 percent of U.S. soybean farmers are already using precision technology to improve efficiency. Technology isn’t just useful while planting. It also helps farmers understand exactly how much water, fertilizer and pesticides their crops need to be healthy. This ensures nothing is wasted, which helps protect the land for future generations. The numbers show it’s working. In the past 30 years, U.S. farmers have increased soybean production by 46 percent while using 35 percent less energy. Technology aside, his time at college also taught him that farming is complex and there’s always room for improvement. For many farmers that’s what sustainability is all about: Paying attention to the most basic elements – the soil, water and sun – to leave the environment in better condition for the next generation. 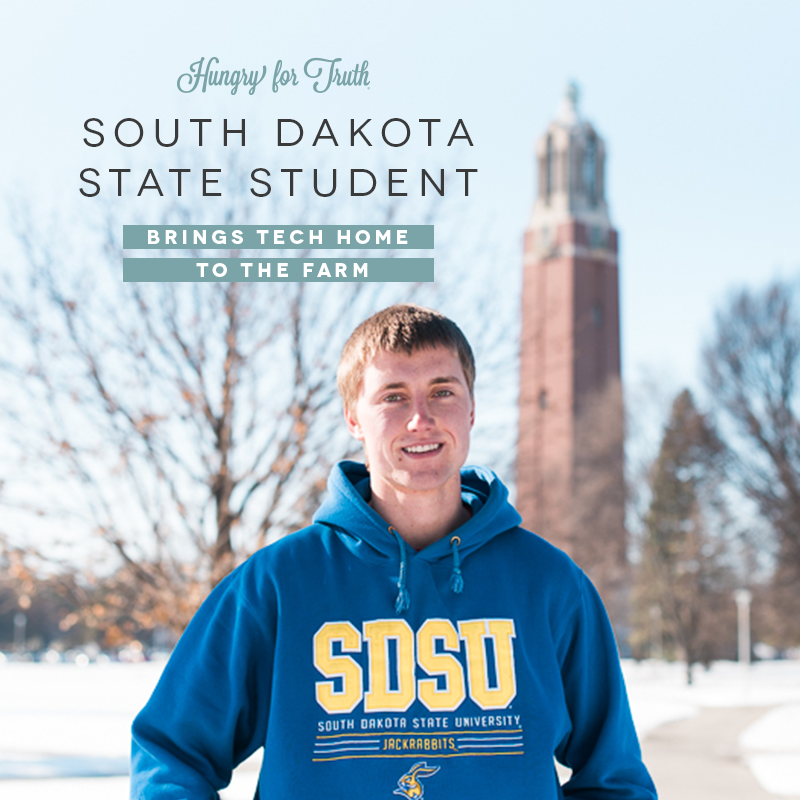 Want to meet another young farmer who is shaking things up in South Dakota? Read this profile of 29-year-old farmer Morgan Holler from Pierpont.